Birthday parties hold a special attraction for kids and yes you guessed that right, Birthday Return Gifts!! Children look forward for not only the fun to be grabbed in the form of decoration, cake, eatables, snacks, games they have a curiosity for the return gifts too. Just as there are numerous options and ideas available for birthday theme parties similarly the range of gifts is no less, in fact the birthday party host can create an everlasting impression on the guests with the choice of return gifts. However, there is always a glitch regarding the budget and cost of gifts. 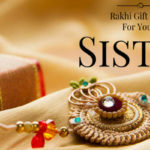 Here is a list curated for some birthday return gifts under the range of Rupees 100/ suitable for both boys and girls. This bowl set comes in different colours and the bowls are detachable making it easy for the little ones and also for increased servings. Available with a spoon and a fork this can be a useful gift for the young toddlers. 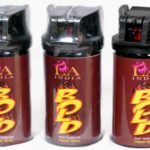 Made up of non-toxic plastic and colours range depends on availability. Age group: up to 5 years. Children are fascinated with colourful goodies. This is an attractive range of pens ideal as a return gift. 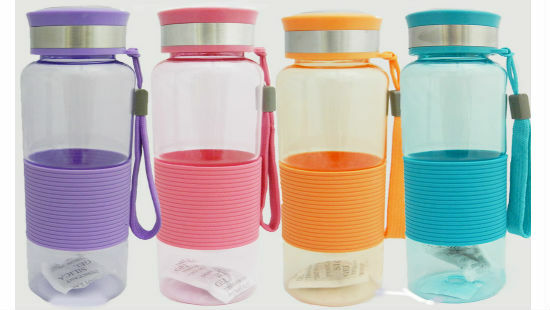 This water bottle is made up of 100% food grade plastic and comes in four pastel colours suitable for both boys and girls. Easy to maintain and ideal for children as a school or sports takeaway. Who would not be attracted to such a cute set of erasers and kids will be delighted. 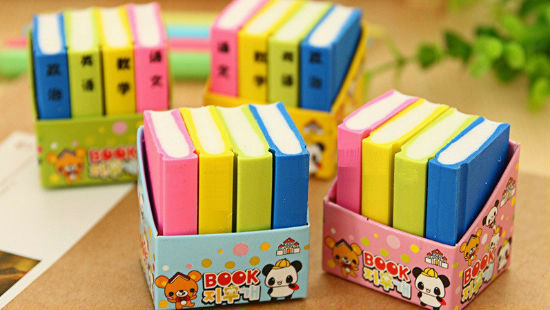 It is a 3 piece set of erasers designed in the shape of a book and are easily detachable. Age Group: 4years to 7 years. We all know the passion of kids with slime making. It comes as a single packed piece in bright and attractive colours. A messy play yet an absolute mess free product for kids to play and enjoy. Age Group: 6 years to 10 years. No prize for guessing that it at present the most hot-selling product that tops on kids’ toys list. 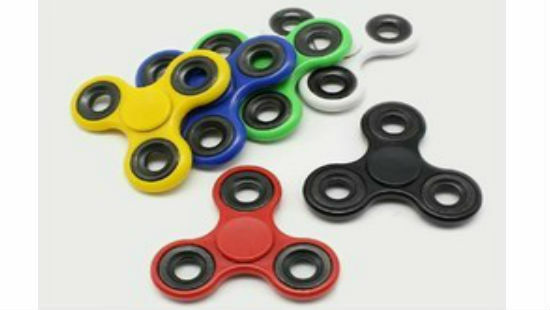 This fidget spinner comes in assorted bright colours. 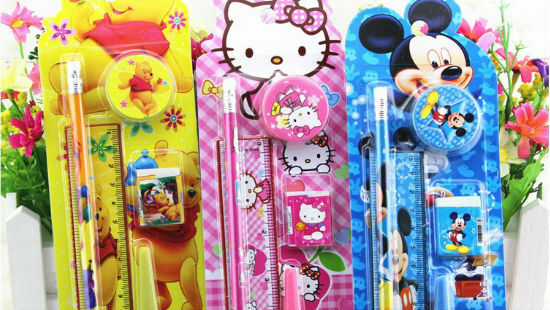 This stationary set comes in different colours ideal for gifting as a birthday return gift for both boys and girls. Main attraction is the foldable pen stand that comes with individual pencil, eraser, ruler and scissors. 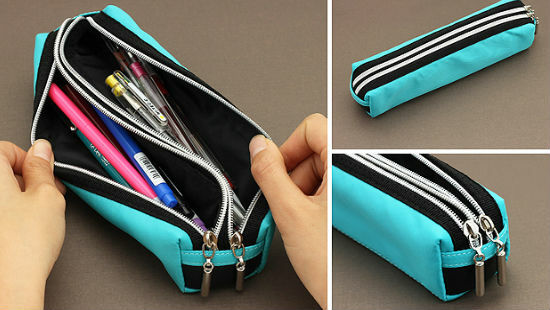 Perfect for school going children. To encourage punctuality in kids it is an ideal gift for young ones. 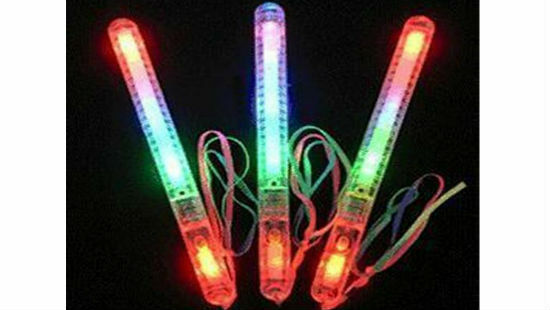 This comes in various attractive colours and is battery operated. 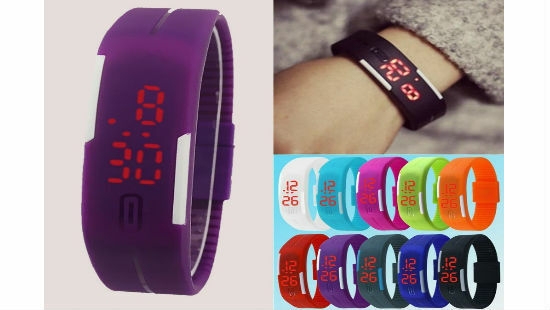 A trendy choice, habit of wearing it can inculcate punctuality in children. Shows time on press of a button. 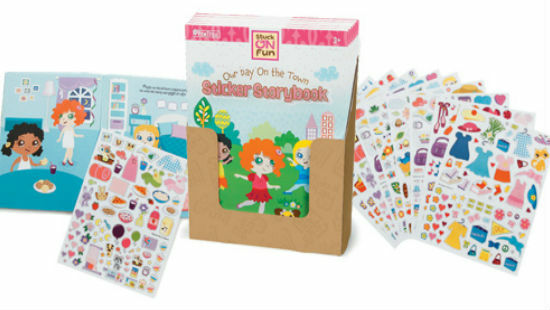 Books and assorted stickers in alluring colours and cartoon characters are always popular amongst kids. Available for every age group books are a sought after return gift for birthday parties. Books and sticker giveaways are always cherished by the young readers. 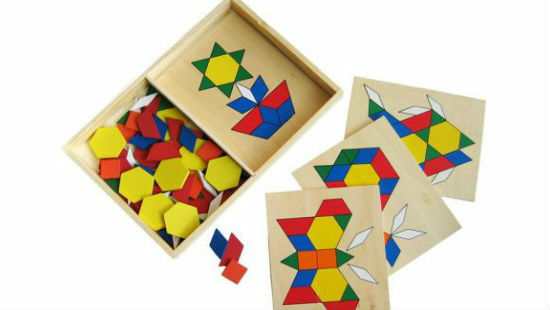 Young minds also like to boggle their brains with mind-challenging games and puzzles. 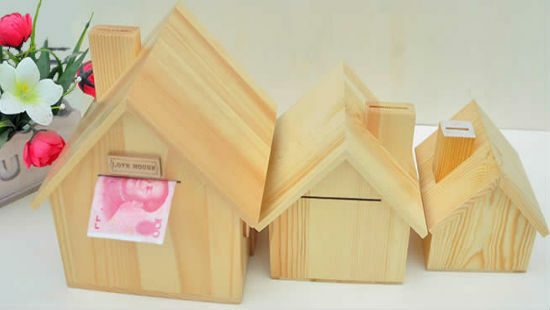 This is an ideal under the budget return gift that comes in a wooden material. The puzzle is self-corrective and fun to play with. This wooden coin bank comes in various attractive colours and an ideal gift for kids to encourage the habit of money saving. It is purely made out of wood with a removable lid at the bottom. There is a giraffe cut out on it to make it more attractive and suitable for home décor too. Combo packs of bags with puzzles pertaining to the cartoon characters. This is available in different price options below rs.100/ and the goodies include stickers, activity books and stationary items. Price: Rs. 79/ and Rs. 69. Pencil pouches and bags of varied cartoon and superhero characters are very popular amongst the kids. It mostly suits almost every age group and is quite useful. For the creative minds, this DIY foam handbag kit is extremely an ideal return gift. 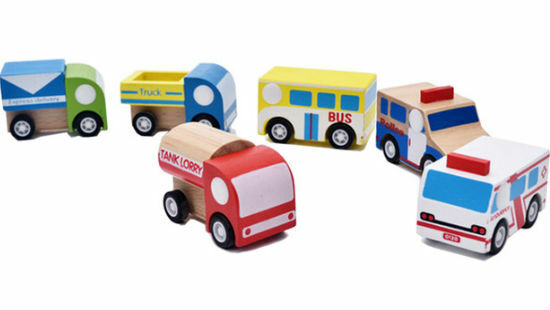 It is available in various attractive colours variations that is useful for kids to carry their little goodies. It is a set of 10 pieces and comes in vibrant colours. 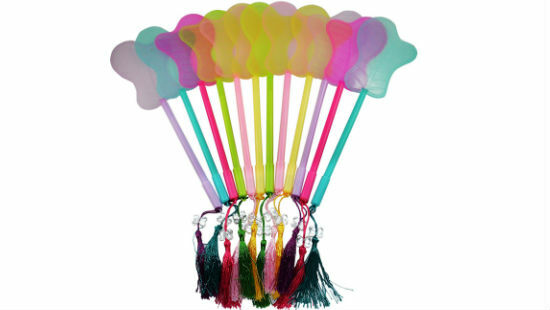 This is a wonderful birthday return gift for kids that comes in assorted colours. This LED finger projection light comes with an elastic strap and fun to play with at a birthday party event as well as a return gift. 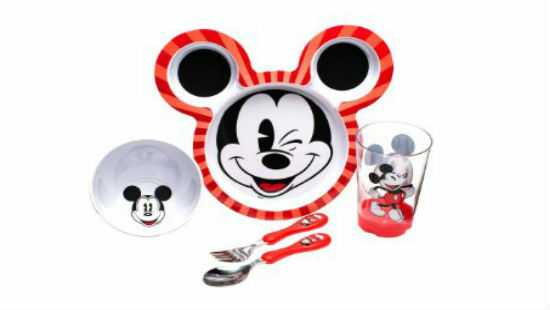 Without disappointing little toddlers here is a gift item that is suitable for them as well as attractive enough. 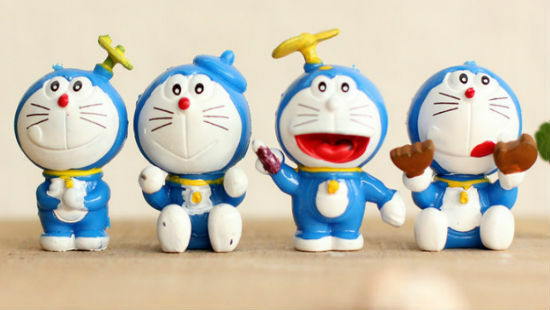 It is a doraemon mini figurine ideal for return gift in a toddler’s birthday party within the budget of Rs. 100. 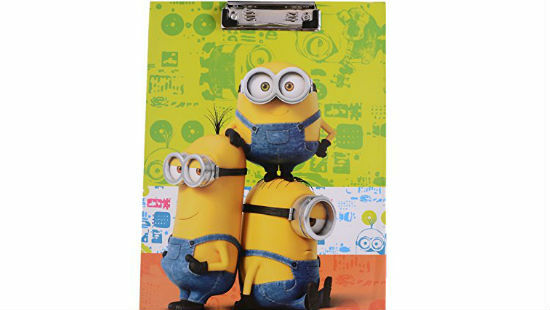 These minion exam pad for kids are very suitable for school going children. Attractive and handy it is majorly available at most of the online websites. This explorer pack comes with a binocular, compass, a torch with a multicolour pen and an attractive gift bag. This pack is ideal for a treasure hunt theme party. It is set of pull back 6 cars in a bag. This is a no battery toy available in attractive colours suitable for small children. To conclude my list of return gifts here I mention the most unique and cherished gift which is easily available at any desired range. 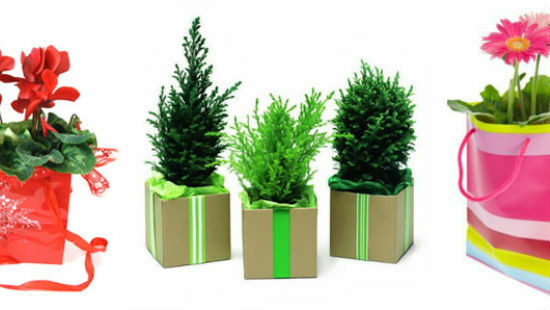 I am talking about gifting indoor or outdoor plants and pots to children at a birthday party. This may not attract the kids that much but who knows, it may even. A virtue of preserving our environment can be inculcated with this gift. 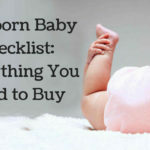 So, above is a curated list of possible birthday return gifts for kids. However, creativity and abundance of gifts in the marketplace has no end and this area can be always be explored as per kids’ choice. A creative content writer, always in quest to seek more knowledge and spread by creating value in other’s life. 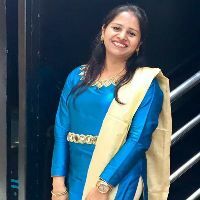 Likes to write short stories for children from a parenting point of view.